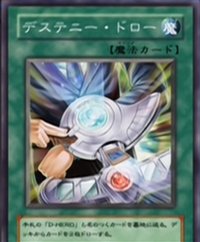 Main card page: "Destiny Draw"
Send a "Destiny Hero" card to the Graveyard. Draw 2 cards. This page was last edited on 17 July 2016, at 02:13.